Pre-release version of “Gun Disassembly-2” project by Noble Empire Ltd is available for free download. We are glad to anounce that MP5 Disassembly is free for the weekend! 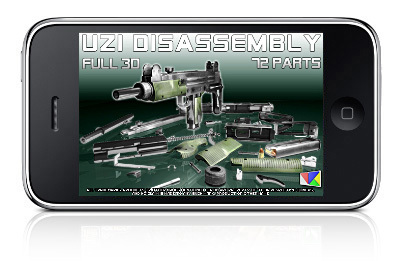 This app allows user to see the Demo how to disassemble UZI and see how it function in Operate Mode useing x-ray. Also user can disassemble or assemble the weapon model by himself. Bottle Hunt is a fun bottle shooting game that mixes a Western style shooter with a hunting game, except in Bottle Hunt no virtual animals are harmed. Set in photographic backgrounds, Bottle Hunt provides 9 levels of glass flying fun and 6 mini-games that range from dual wielding to shotgun treatment.